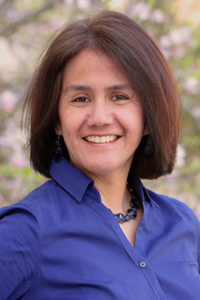 Domino Renee Perez is Associate Professor in the Department of English and the Center for Mexican American Studies, specializing in Young Adult Fiction, Mexican American and Latinx Literature, American Literature, Film, Popular Culture, and Cultural Studies. Her book There Was a Woman: La Llorona From Folklore to Popular Culture (UT Press, 2008) examines La Llorona, the weeping woman, one of the most famous figures in US/Mexican folklore. She co-edited a book on Race and Cultural Practice in Popular Culture (Rutgers UP, 2018), as well as published numerous book chapters and articles on topics ranging from film and Indigeneity in Mexican American studies to young adult fiction and folklore. She is the recipient of the Regents’ Outstanding Teaching Award, a University of Texas system-wide honor in recognition of excellence in undergraduate teaching. This course is a historically arranged survey of American literature that includes voices and perspectives spanning the 17th through the 21st centuries. Works by Ernest Hemingway and Toni Morrison will serve as focal points for our discussions about culture and identity as they relate to nation, gender, community, citizenship, and literary movements at different historical moments. Our goal will be to see these works as embedded in specific contexts that must be explored in order to understand, as much as possible, the particularized expressions of American identity offered in each. Required Texts: Hemingway, Ernest. In Our Time; Morrison, Toni. Sula; Course Packet from Canopy Course Notes. Requirements & Grading: Three Unit Exams, 30% each; Attendance/Participation/Engagement in Discussion Section, 10%. This course is a historically arranged survey of American literature that includes voices and perspectives spanning the 17th through the 21st centuries. Works by Ernest Hemingway and Toni Morrison will serve as focal points for our discussions about culture and identity as they relate to gender, community, citizenship, and literary movements at different historical moments. Our goal will be to see these works as embedded in specific contexts that must be explored in order to understand, as much as possible, the particularized expressions of American identity offered in each. Requirements & Grading: Four Unit Exams, 20% each; Reading Notebook/Attendance/Engagement in Discussion Section, 20%. This course will focus on what critics, writers, and publishers refer to as the “second golden age” of young-adult fiction, a period ushered in by the Harry Potter series. We will consider the literature, as well as the literary and cultural criticism, that emerged in the wake of these popular books to examine the broader issues being addressed in contemporary young adult fictions. One major goal is to consider how the literature intervenes in social and political concerns, while at the same time maintaining broad popular appeal. Disciplinary perspectives will include, but are not limited to, feminist, gender and sexuality, genre, literary, ethnic, cultural, and film studies. Description: This course will focus on young-adult fiction (also known as young adult literature) that has broad critical and/or popular appeal beyond its intended audience. As an additional critical component of the course, we will augment the readings with films and books inclusive of diverse experiences and interests but that do not necessarily have the benefit of popular or commercial appeal. While conversations about YA fiction generally focus on the protagonist’s coming-of-age or strategies for incorporating these works into the classroom, our discussions of the works will be framed by critical approaches such as feminist, cultural, ethnic, and gender, as well as genre and film studies. One major goal is to consider how these works by British, Mexican American, American, and American Indian authors speak to global, social, and political concerns. Required Texts: Rowling, J.K. Harry Potter: The Sorcerer’s Stone (1998); Alexie, Sherman. The Absolutely True Diary of a Part-Time Indian (2007), Collins, Suzanne. Hunger Games (2008); Murphy, Julie. Dumplin’ (2015), Older, Daniel José. Shadowshaper (2015), Yoon, Nicole. Everything, Everything (2015), and Mathieu, Jennifer. Moxie (2017). Requirements & Grading: Book/Film Review 15%; Reading Quizzes 25%; Final Project 30%; Group Presentation 30%. Requirements & Grading: Participation/Attendance 10%; Reading Quizzes 30%; Final Project 30%; Group Presentation 30%. This course is a historically arranged survey of American literature that includes voices and perspectives spanning the 17th through the 21st centuries. Novels by Ernest Hemingway and Toni Morrison will serve as focal points for our discussions about culture and identity as they relate to gender, community, citizenship, and literary movements at different historical moments. Our goal will be to see these works as embedded in specific contexts that must be explored in order to understand, as much as possible, the particularized expressions of American identity offered in each. Required Texts: Hemingway, Ernest. The Sun Also Rises; Morrison, Toni. Sula; Course Packet from IT Copy on MLK. Requirements & Grading: Four Unit Exams, 20% each; Reading Notebook/Attendance/Participation in Discussion Section, 20%. Required Texts: Rowling, J.K. Harry Potter The Sorcerer’s Stone (1998); Collins, Suzanne. Hunger Games (2008); Dashner, James. Maze Runner (2009); Roth, Veronica. Divergent (2011); Cisneros, Sandra. The House on Mango Street (1984); Rivera, Tomas. and the earth did not devour him (1971); Alexie, Sherman. Flight (2007). Description: This course is a general introduction to the literature written by and about Mexican Americans. Students should expect to develop some understanding of the specific cultural, historical, and political contexts that inform the literature. Knowledge of these contexts will enhance our understanding of these authors’ politics and aesthetics, in addition to their views of issues such as race, gender, and class. Throughout the semester, we will discuss such topics as Pre-Columbian thought and art, the Spanish Conquest, la Virgen de Guadalupe, and the Treaty of Guadalupe-Hidalgo to consider critically the impact these events had in the formation of a Mexican American identity. Later, we will address contemporary issues like the Chicano Civil Rights Movement, border politics, immigration, Tejano music, and Mexican Americans in film. Our goal will be to see these cultural productions as embedded in specific contexts that must be explored in order to understand, as much as possible, the cultural and political nuances of the texts. Texts: Martínez, Domingo. The Boy Kings of Texas (2012); Martínez, Nina Marie. ¡Caramba! A Tale Told in Turns of the Card (2004); Villarreal, José Antonio, Pocho? (1959); Viramontes, Helena Maria, The Moths and Other Stories? (1985); Handouts--poetry and essays. Requirements and Grading: Short (2-page) papers every other week (a total of 5), 30%; One final (5-7-page) paper, 30%; Short writing/research assignments (4), 20%; Reading quizzes, 20%. Description: This course will focus on young-adult fiction (also known as young adult literature) that has broad critical and/or popular appeal beyond its intended audience. Specifically, we will examine books that have been adapted or are slated to be adapted into film. This refined focus will allow us to consider how, or even if, these cinematic translations contribute to the popularity of these novels and their protagonists. As an additional critical component of the course, we will augment the readings with books inclusive of diverse experiences and interests but that do have not have the benefit of popular or commercial appeal. While conversations about YA fiction generally focus on the protagonist’s coming-of-age or strategies for incorporating these works into the classroom, our discussions of the works will be framed by critical approaches such as feminist, cultural, ethnic, and gender, as well as genre and film, studies. One major goal is to consider how these works speak to global social and political concerns. Alvarado, Lisa, Ann Cardinal, and Jane Coralin, Sister Chicas (2006)? Soto, Gary. Jesse (1994); Nickel and Dime (2000); Poetry Lover (2001); The Afterlife (2003); Buried Onions (2003); Local News (2003); Amnesia in a Republican County, (2003); The Afterlife (2005); Accidental Love (2006); When Dad Came Back (2011). Requirements & Grading: Group presentation, 30%; Annotated bibliography (15 books), 30%; Comparative analysis—Novel and Film (5-6 pp. ), 30%; Participation, 10%. Prerequisites: Completion of at least thirty semester hours of coursework, including E 603A, RHE 306, 306Q, or T C 603A, and a passing score on the reading section of the Texas Higher Education Assessment (THEA) test. This course is a historically arranged survey of American literature that includes voices and perspectives spanning the 17th through the 21st centuries. Novels by Ernest Hemingway and Toni Morrison will serve as focal points for our discussions about culture and identity (for example, national, ethnic, or gendered) at different historical moments. Our goal will be to see these works as embedded in specific contexts that must be explored in order to understand, as much as possible, the particularized expressions of American identity offered in each. Texts: Hemingway, Ernest. The Sun Also Rises; Morrison, Toni. Sula; Course Packet from IT Copy on MLK. Requirements & Grading: Grades will be based on four exams (20% each), and reading responses/quizzes, attendance, and participation (20%). Discussion sections are mandatory. In addition to the assigned reading responses, the TA in your discussion section has the option of giving short quizzes or writing assignments. More than one absence from your discussion section could adversely affect your final average. Writers Rudolfo Anaya, Rolando Hinojosa-Smith, Tomas Rivera, Gary Soto, and especially Sandra Cisneros helped usher Mexican American literature into the American cultural mainstream. These authors, along with notable others, introduced readers to the social and cultural contexts that characterize Mexican American cultural identity in literature. The inclusion of these authors' works in literary anthologies and on course syllabi across disciplines at all grade levels serves as evidence of the impact and influence of their work not only in the field of Mexican American but also American literature, as well. The emphasis placed on these authors and a few of their works overshadows, at times, emerging voices or new perspectives in Mexican American literature. Therefore, the texts in this course represent publications of both new and established Mexican American authors, whose works reflect the changing social, political, and cultural concerns of Mexican Americans. Prerequisites: Comparative Literature 315, English 603B, 316K, or Tutorial Course 603B. Description: In this course, we will examine the ways in which authors and filmmakers construct gender, class, and ethnicity in each of their texts. We will begin by considering the way in which European American authors and filmmakers use archetypes, national mythology, and gender construction, for example, to produce dominative narratives that inform our views of gender, class, and ethnicity in the United States. Once we have established a context for these prevailing narratives, we will then discuss how Mexican American, American Indian, African American, and European American authors and filmmakers resist, revise, and affirm our assumptions about these issues. Texts: REQUIRED TEXTS -- Hemingway, Ernest. The Sun Also Rises; Chavez, Denise. Loving Pedro Infante; Welch, James. Winter in the Blood. Benshoff, Harry M. and Sean Griffin. America on Film: Representing Race, Class, Gender, and Sexuality at the Movies. Requirements & Grading: Two Film Reviews (20% each; 2 pages): 40%; Reading/Viewing Quizzes: 25%; Final, including essay (4-5 pages): 25%; Participation/Attendance: 10%. Attendance: Regular attendance is a requirement for this course. Excessive absences will result in a lower overall grade and can cause a student to be dropped from or fail the course. This course is a historically arranged survey of American literature that includes voices and perspectives spanning the 17th through the 21st centuries. Novels by Hannah Webster Foster, Luis Alberto Urrea, and Sherman Alexie and a play by August Wilson will serve as focal points for our discussions about culture and identity (for example, national, ethnic, or gendered) at different historical moments. Our goal will be to see these works as embedded in specific contexts that must be explored in order to understand, as much as possible, the particularized expressions of American identity offered in each. Urrea, Luis Alberto. In Search of Snow.